Summary: Command centers are often viewed as a localized nerve center that is pivotal for business operations. A command center plays an important role for companies that require a nerve center. Moreover, it can oversee any activity performed by the company and play a role in performing a variety of tasks. 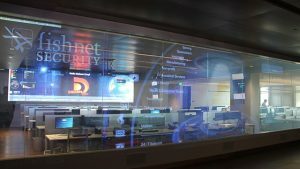 Every command center is designed to provide the operators with quick access to connected setups in order to perform data analysis or monitoring any project. Consider it as a separate entity from the company due the fact that the center is actually facility that may be off-site and controlled by either a third-party or an in-house team that works for the company directly. Many people associate command centers with what they see in the movies. For example, a bunch of mid-level associates dressed in business suits furiously typing away and looking at each other with dramatic pauses. Well, this isn’t too far from reality – obviously without the Hollywood effects. A command center is a centralized hub that incorporates numerous A/V equipment and monitors to oversee all operations of the company. Today’s modern center incorporates advanced technology, making it a much more efficient workplace than how it used to be. Technology moves at lightning speed, and machines are slowly becoming smaller yet more powerful. In this day and age, command centers don’t need a spacious setting since there are smarter, integrated setups replacing the bulky machines of the past. There are certain exceptions to this however, as larger companies may require facilities that incorporate an elaborate setup for full control of A/V components. When it’s all said and done, each company differs when it comes to their needs, but it should be known that even a basic facility with a smart setup can perform efficiently. 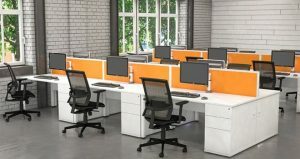 Blog submitted by Constant Technologies, Inc.: ConstantTech.com, a professional A/V integrator, can assist you with fabricating custom command center furniture for your new or current command center. For more information, visit ConstantTech.com online today.